So I requested some samples of these bars, curious to see how much I liked them. We travel a lot and sometimes its hard to do that with fresh fruit, especially in the desert heat. So last night I ate pretty unhealthy (mmmm nachos) so I thought this morning would be a wonderful time to try these little babies. They have two ingredients: apple and one other fruit. That’s it, thus the name That’s It. , so I was really excited to throw it into my bag while I ran errands. So far, absolutely loving them, I know I will be buying more. They are vegan, kosher, gluten free, and have a low glycemic index. Honestly, that stuff is awesome, but my main concern was getting in my fruit servings, 100 calories, and 3 grams of fiber. Pretty impressive. The first one I tried this morning and the second as my afternoon snack. Ah-mazing. Nice and soft which I appreciate because then I didn’t have crumbs all over my car. It tasted like the soft apple rings with pear (or apricot or cherry) and I can now officially say I am indeed addicted. 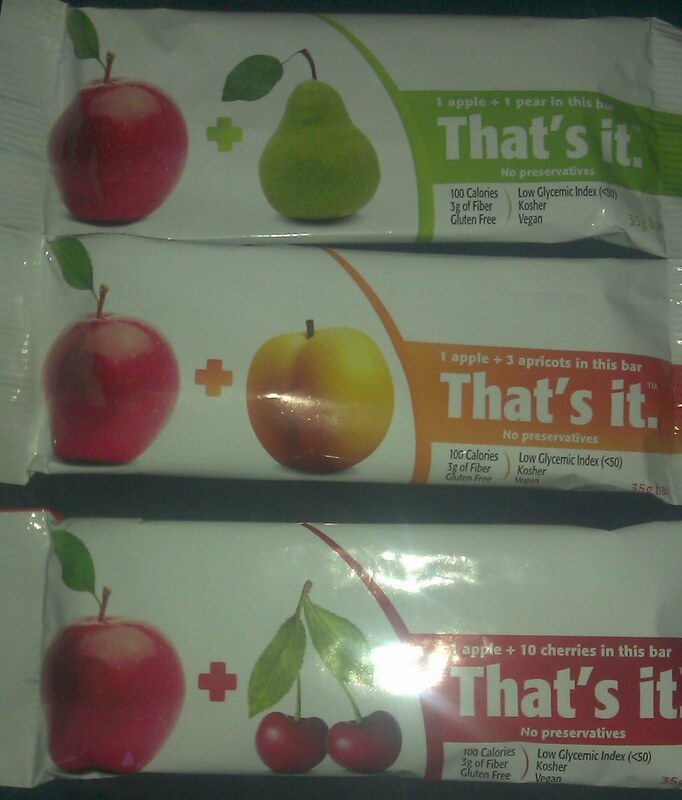 Check them out online at www.thatsitfruit.com . Have any of you tried these??? Simple Luxuries Pink Sugar & Very Vanilla Lotion Bars Sally Hansen Sugar Coat Nail Polish Swatches + Review Part #1 Fragrance Review: DKNY Be Delicious Fresh Blossom Juiced Epic Blend Lip Balms Review- Vegan, Hemp, & Amazing! Oh My!